For those of us who grew up in Catholic countries, the crucifix is the most common image in art, and most depictions of Jesus on the cross display little variation. In a country like Thailand, where Buddhist and Hindu images mix and merge, there is a greater range of art, though the sheer number of Buddhas soon becomes overwhelming. Recently, I found a terra cotta sculpture garden in Chiang Mai, near the southern gate in the old city, and found it a fascinating place to take pictures. 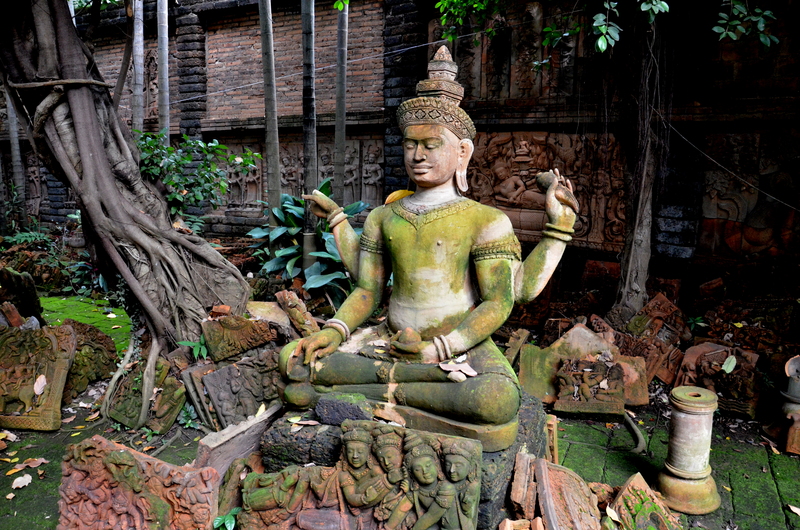 Even though the sculptures aren’t antique, they look it, covered with moss and various forms of algae.